When you have a fulltime job but also loves travelling a lot you need to have some fantasy and be very flexible to wringe out some extra free days to spend abroad. 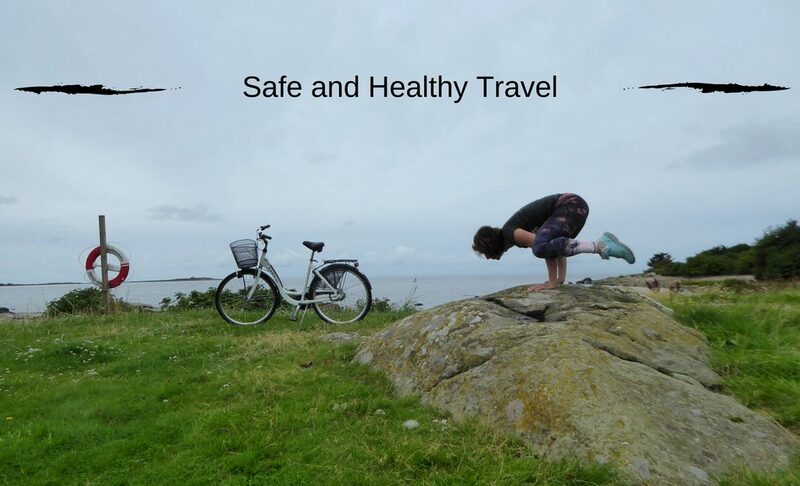 I did two trips already earlier this year… first was meditation for 10 days and the second trip was two weeks The Gambia!! And I do have something to look forward too also!! I’ve got a trip to Kyrgyzstan and Kenia upcoming later this year so I think you get an idea of how many free days I still have. When I looked at my schedule earlier I saw that I had 2 times 2 days of close to eachother and with a bit of help of my colleagues I now had 4 days free to spend however I wanted! 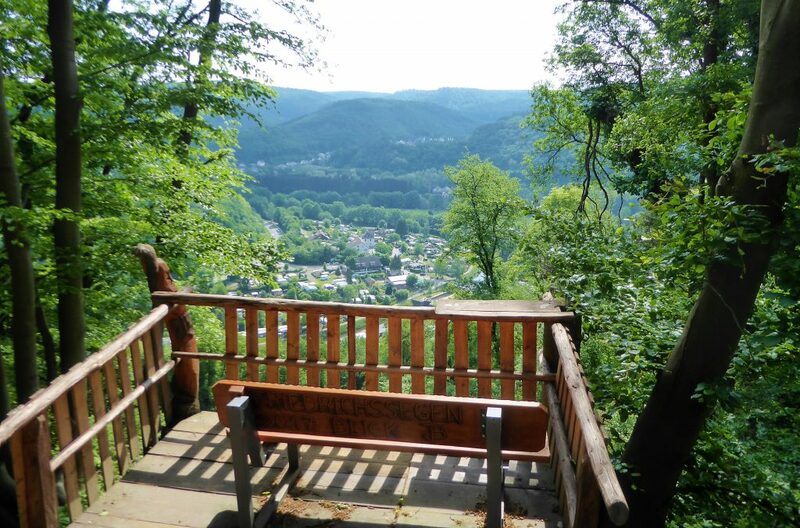 Perfect time to go hiking on the Rheinsteig, right? So that is exactly what I did! 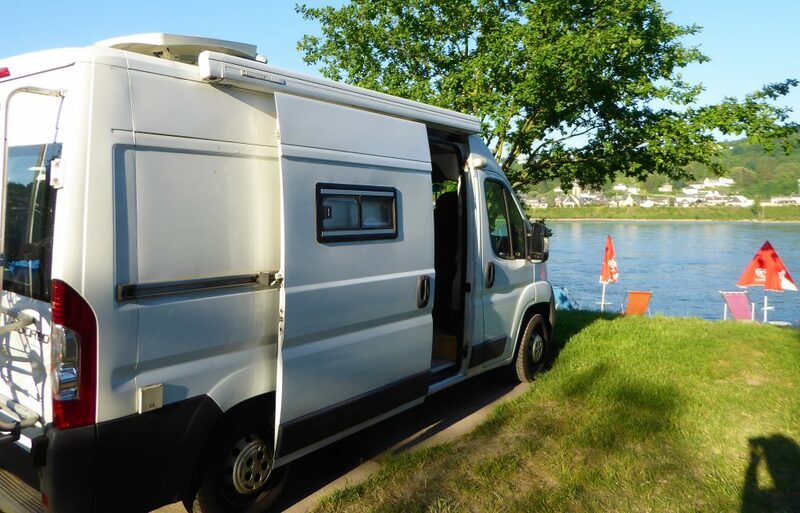 I am lucky to have a dad with a mobile home and I could use it every now and then and so I went to the Rhine in Germany. I did read about it earlier and was preparing to go hiking more this year so this was a perfect start to go hiking in Germany! 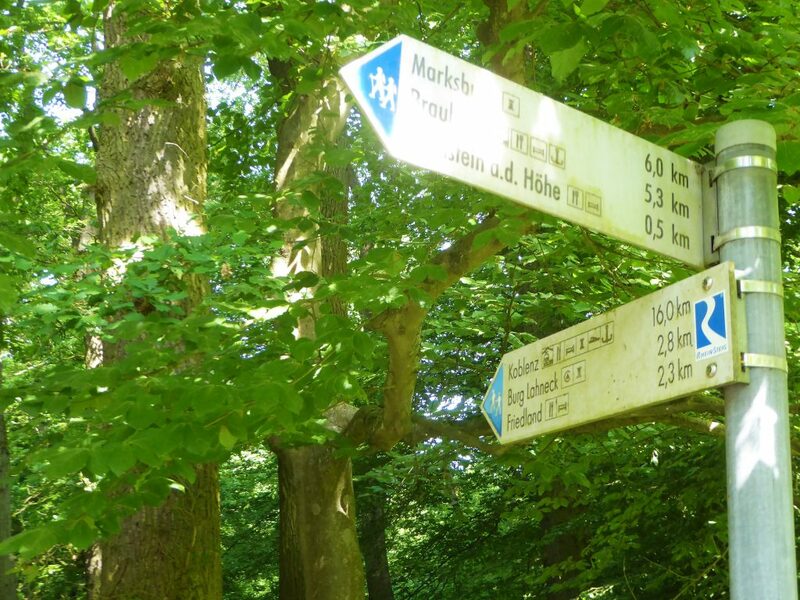 My first day I hiked from Bad Honnef to Bonn. It is around 12 K and a less adventurous hike but still I did liked it! After this first great day I went down the river to some more adventurous area. I wanted some more mountains and nature in my hike. So I went to Braubach with the camper. 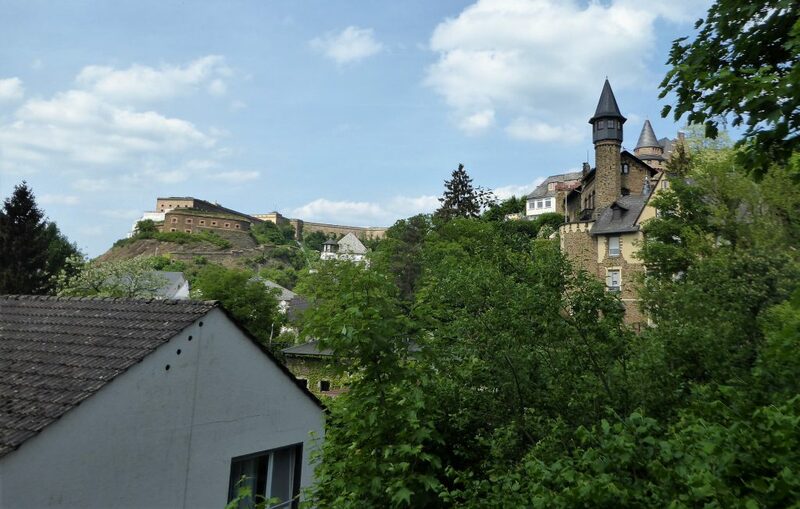 A great little cultural village just passed Koblenz. I could do some nice hiking from there, I still had two days to spend so that was great! 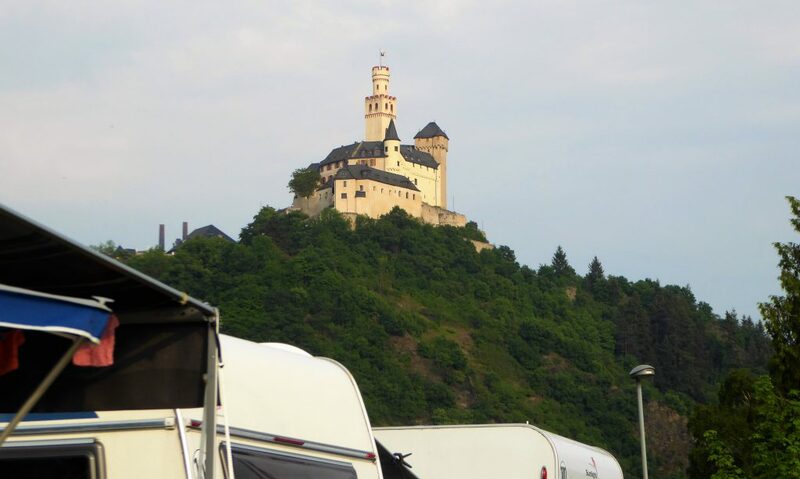 I had a great spot on the river Rhine with my camper, the old city of Braubach was about 10 minutes walk and as you see above it is great to wander around there!! The old marketsquare was a great place to have dinner. I was here for 2 nights and took two hikes in each direction. And I can recommend these hikes!! 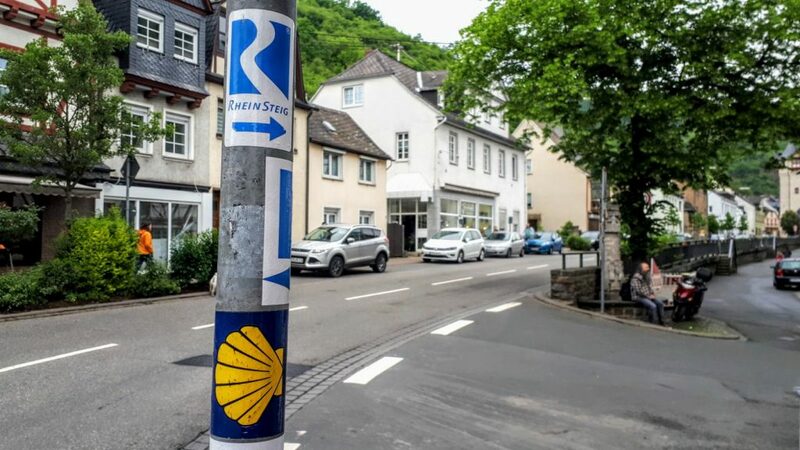 The first day I went from Braubach city where you’ll see the blue signs of the Rheinsteig and got my way to Osterspai. I did that direction because I wanted to see the Castle of Marksburg which I saw from the village high above on the mountain. 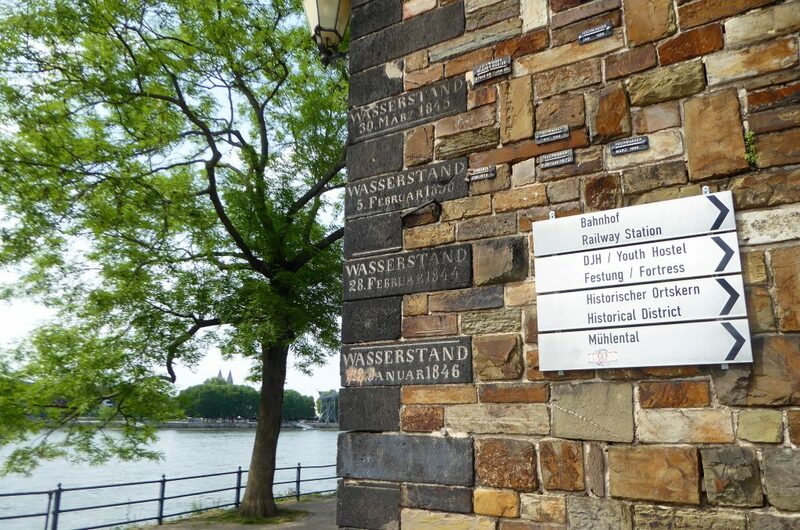 The signs of the Rheinsteig. And I was so surprised to see the camino sign too!! 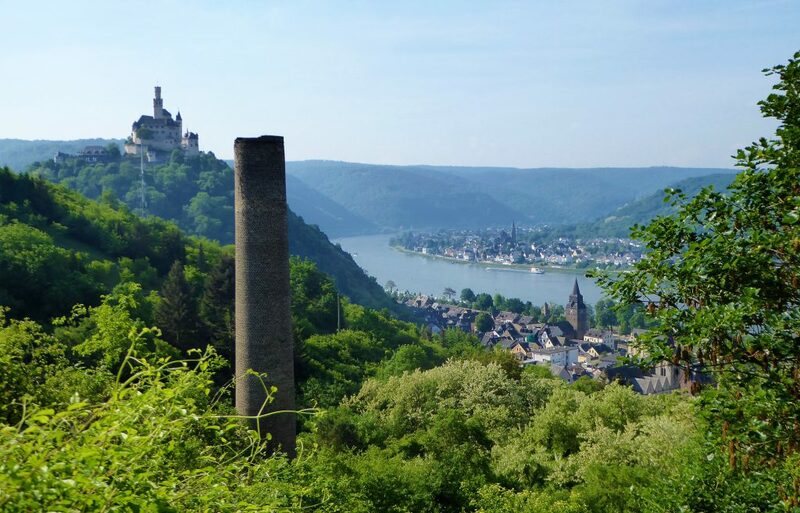 So the first day I went up to Marksburg, that is right on the picture. The next day I went to the other side of the road and went up in beteen the houses behind the white parked car. 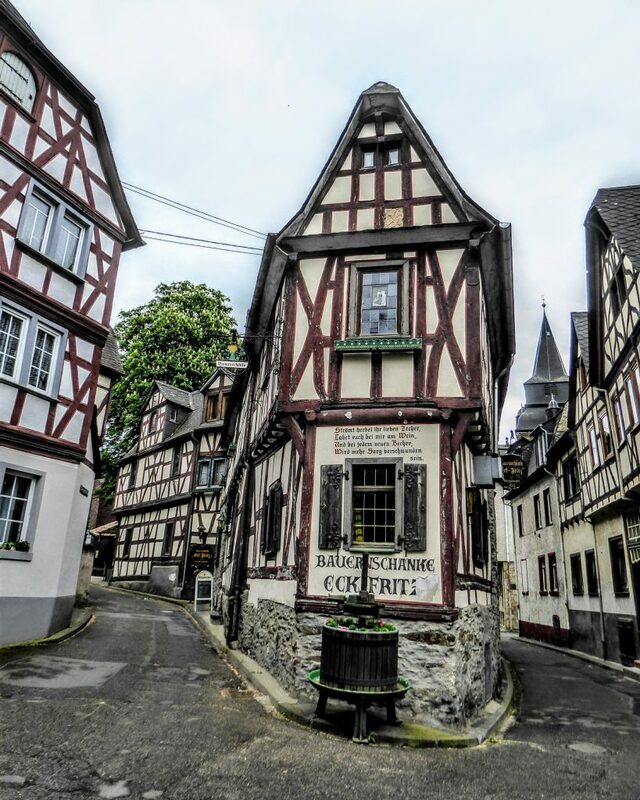 The Rheinsteig goes exactly through this village. Castle Marksburg is seen from everywhere high above Braubach. Hiking the Rheinsteig from here you will pass this great castle. As you see the path is really good signaled. I only went the wrong way once and that was totally my own fault. Most of the times the route isn’t going through the village as it does in Braubach but it goes by it. On the route there are signs for you to go to the villlage. Just for a cup of coffee or lunch or to stop for the night. As you see on the picture the signs for the route are bleu but if you want to go off the route and into a village the same sign is there to follow only the colour is yellow/orange. How easy is that? The signs in the different colours to show you where to go. Stop? Go yellow.. otherwise just follow the bleu one. 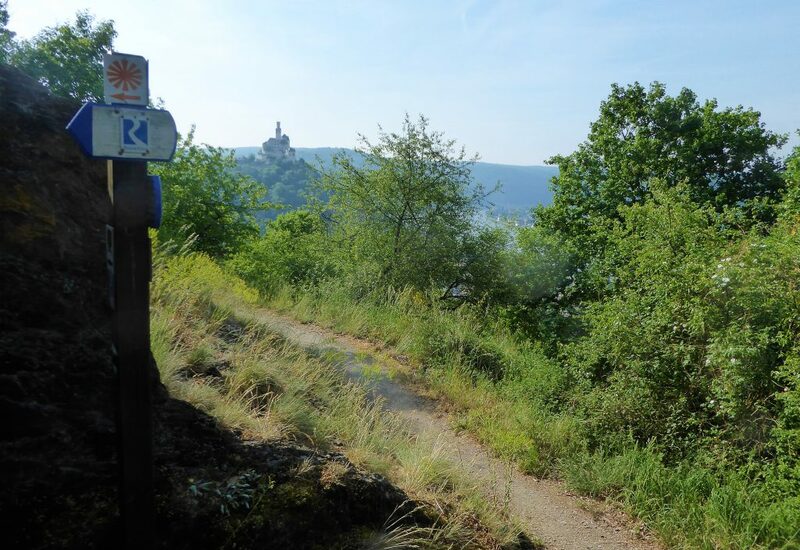 The route from Braubach to Osterspai is around 12K and goes along the mountain range along the Rhine. 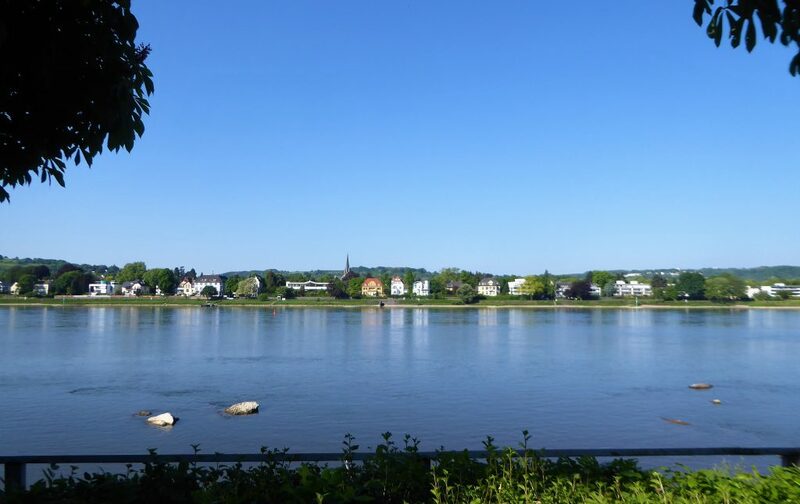 Because of hiking alongside the mountain range you have these great views over the river Rhine. This was exactly why I wanted to hike this route! Beautiful views over the meandering river and every now and then sight on a castle. That is just the best, right? I really love that about Germany, don’t you like that too? 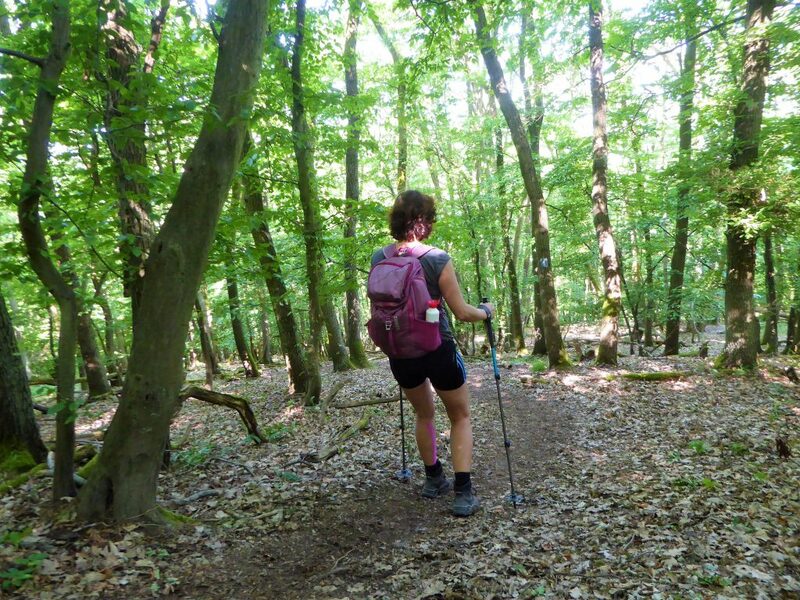 Yes, I’m hiking with trekkingpoles!! 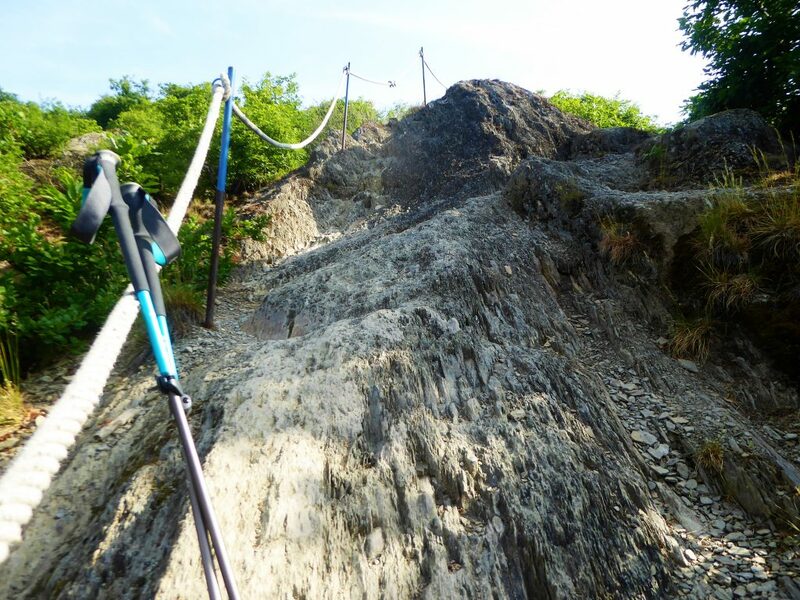 Read why I do started to use them again on longer hikes!! 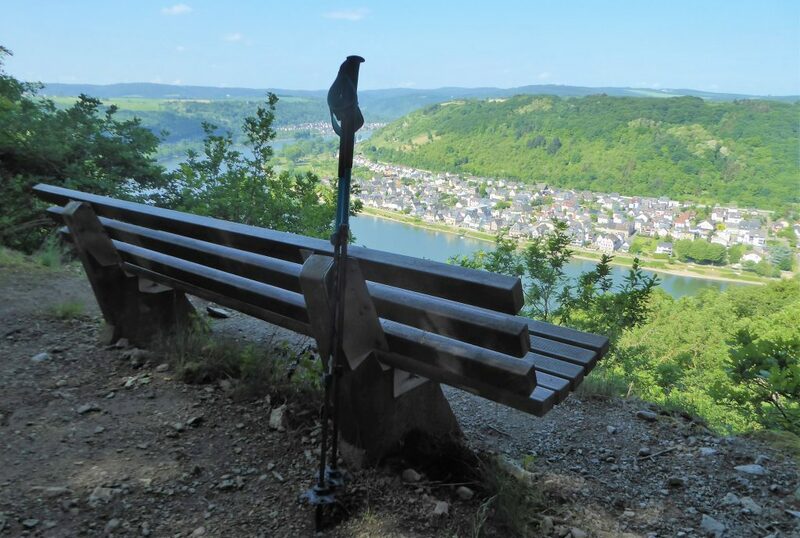 It was a great hike with some of the best views on the river Rhine. This was exactly what I wanted when I came here to go hiking the Rheinsteig! I really was looking forward to the next day! It doesn’t matter which way you walk, downstream or going up. So what I did was also a good possibility. Going in both directions and staying for two night in one village. 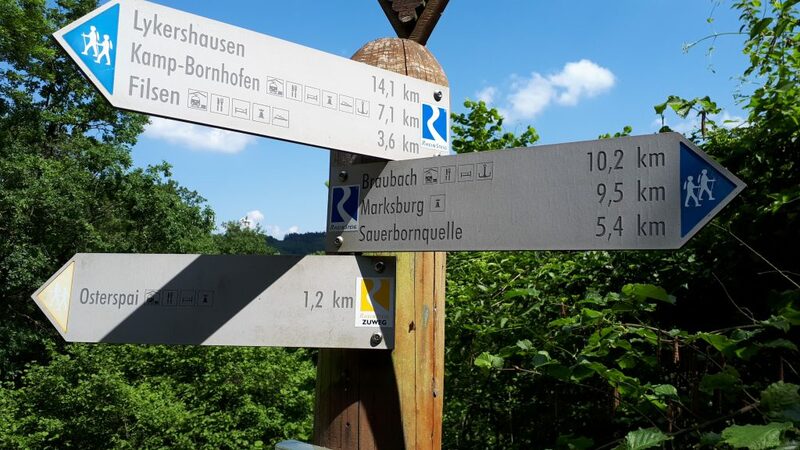 If I had more days to spend on this great path I would’ve gone down to another place and did two days of hiking the Rheinsteig from the same camperplace. For me this was the cheapest option. If you choose a hotel or bed and breakfast you’ll pay at least 40 to 50 euro a night. Now I paid around 15 euro a night and had all the freedom I liked. There are not that many campingspots to put down a tent along the route. 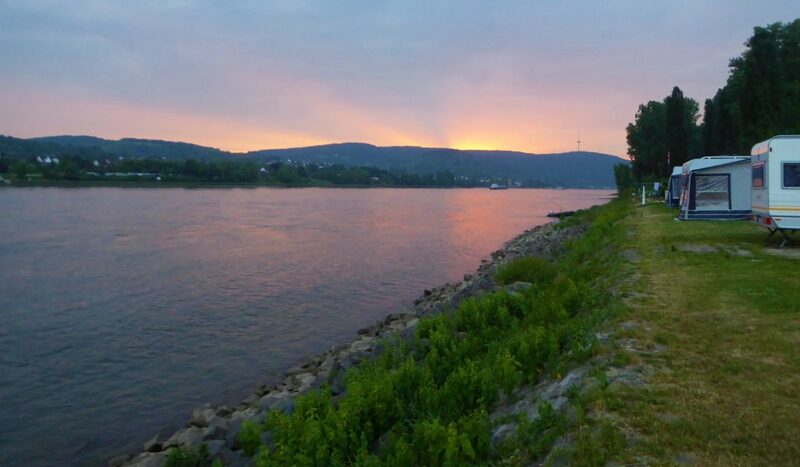 It is possible to walk with a tent and camp on a campingsite along the riverside. For now it was a bit too cold to do that but it certainly is something I would like to do! 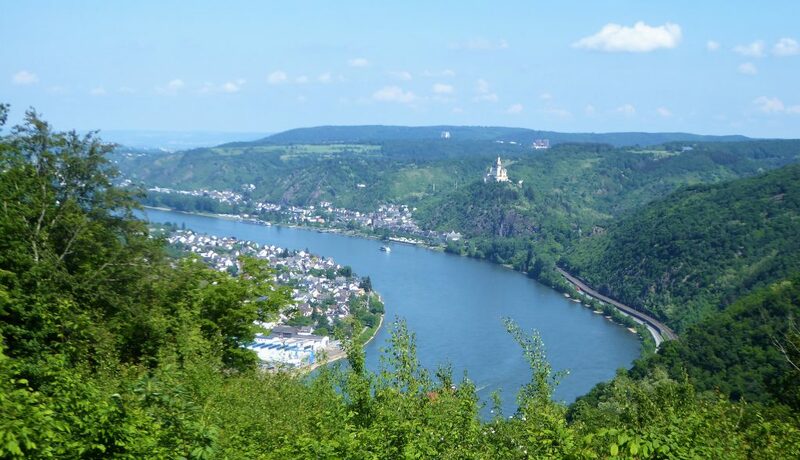 My last day hiking the Rheinsteig was the longest and by far the most beautiful one!! I really enjoyed this day to the max!! 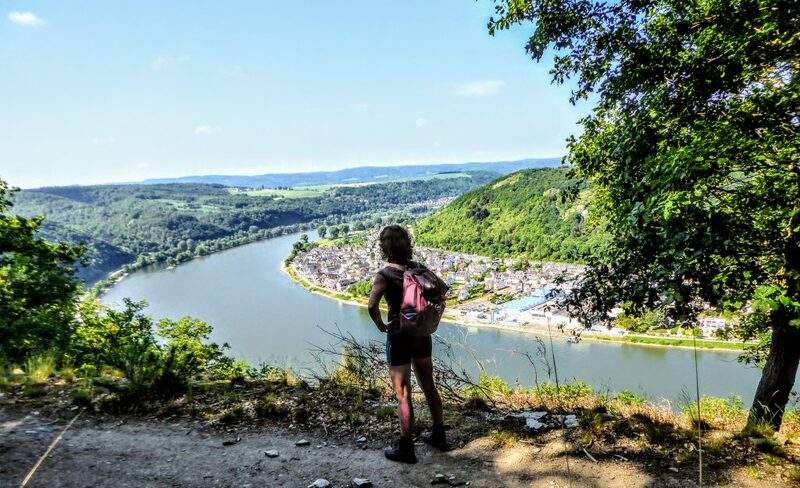 I got to hike along the best paths where I needed to climb and where I looked back on some of the best views over the Rhine! I enjoyed the whole 21K from beginning until the end. After the first climb onto the mountain I got some of those views I wanted! The path brought me higher and higher and some of them were really great and challenging! I love to be challenged and climb! This was great! But I loved every minute of it and ofcourse my maingoal remained Koblenz!! 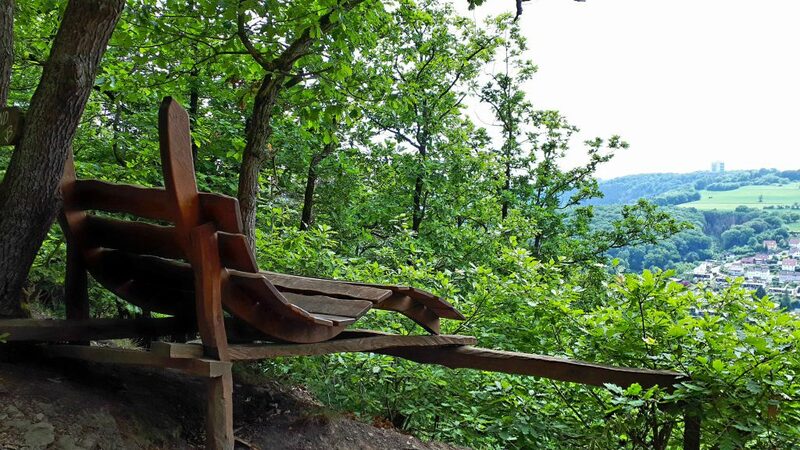 And then to come by these kind of views and benches, those made me keep smiling and hiking!! At a certain point I entered a National Park. It was a bit cooler and a great path brought me to an even greater path! 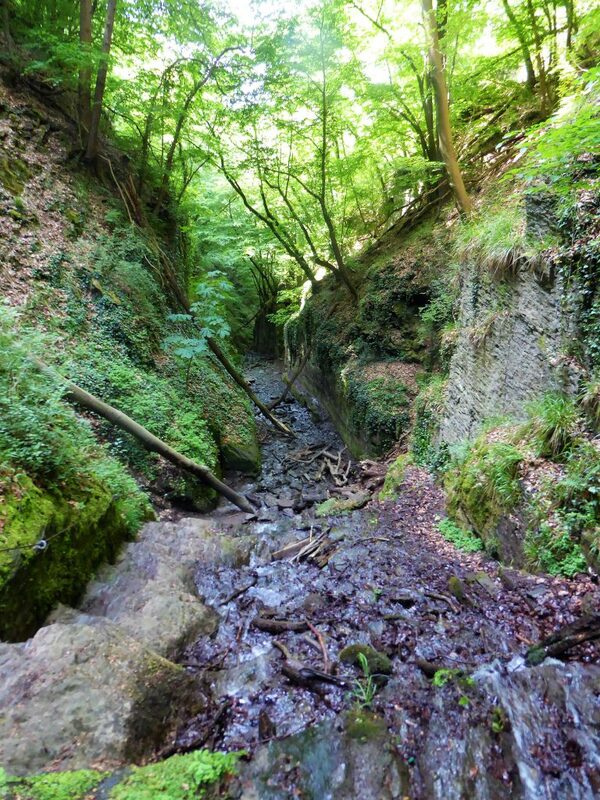 I didn’t really paid any attention to the name of the path, my German isn’t that good but I got to hike into a gorge. 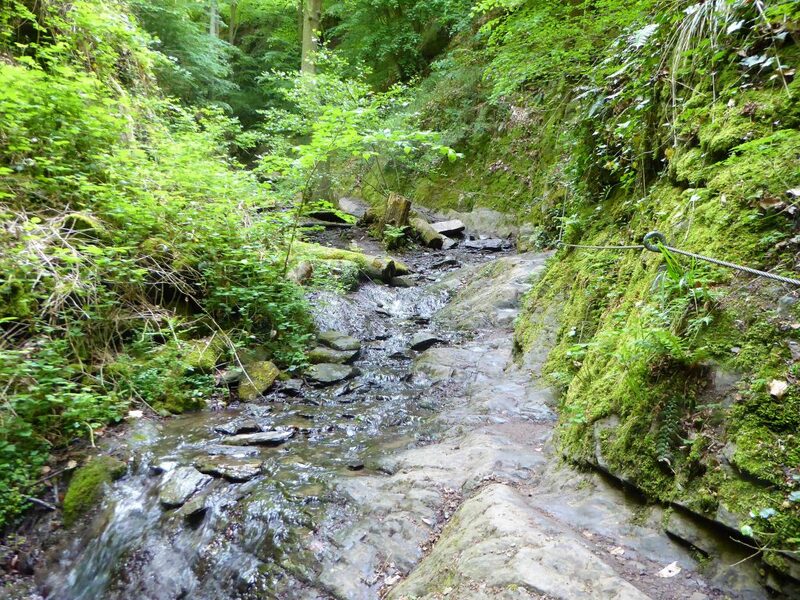 I walked along the stream in that gorge and every now and then I needed to cross the stream to go on. 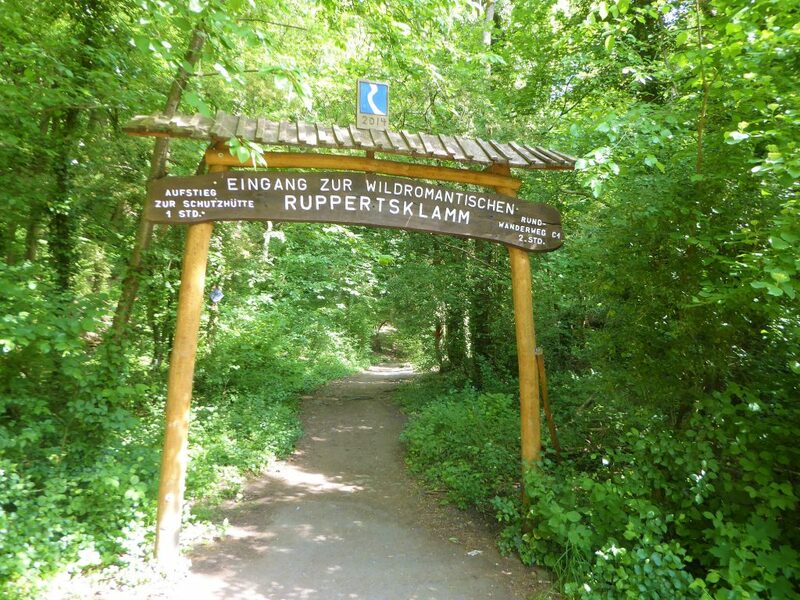 Hiking the Rheinsteig from Braubach to Koblenz you’ll get to walk the Ruppertskamm. Really one of the highlights of this day! If you look carefully you’ll see a cable, you know why it is there right? Use it to make sure you son’t fall into the water!! Aren’t these benches the best? Totally made to relax and lay down into them to enjoy the great view!! When I finally reached Koblenz I got the train to go back to Braubach. I unfortunately didn’t have time to explore this city. I had to work the next day so I had to go home, it was still a 3 hours drive. So for a couple of days off this is a great destination to go to for me. 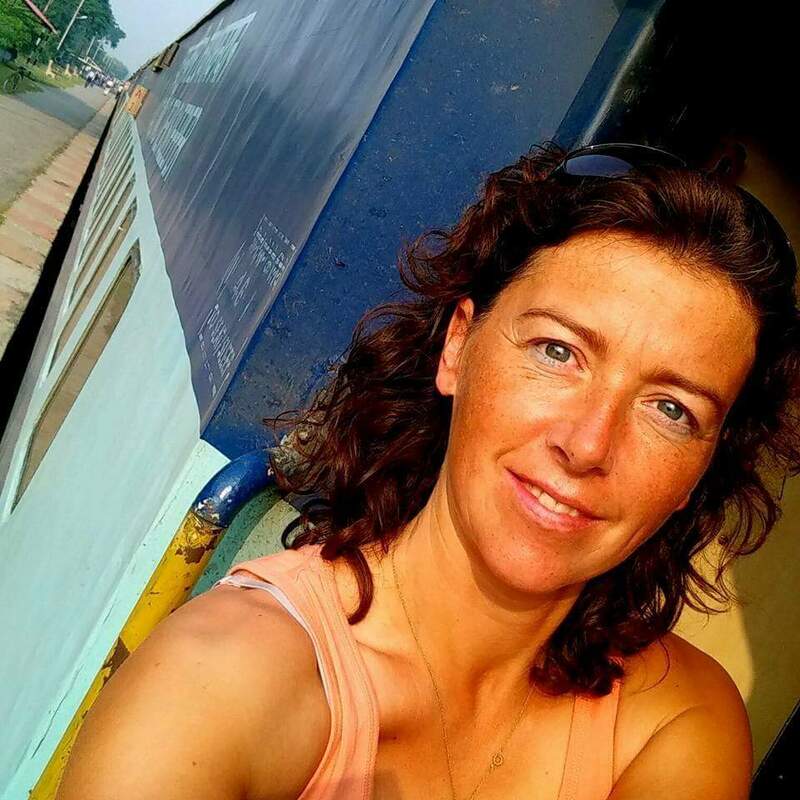 I really felt totally away from home and travelling the world…as I love so much! Want to more about this 320K long route? 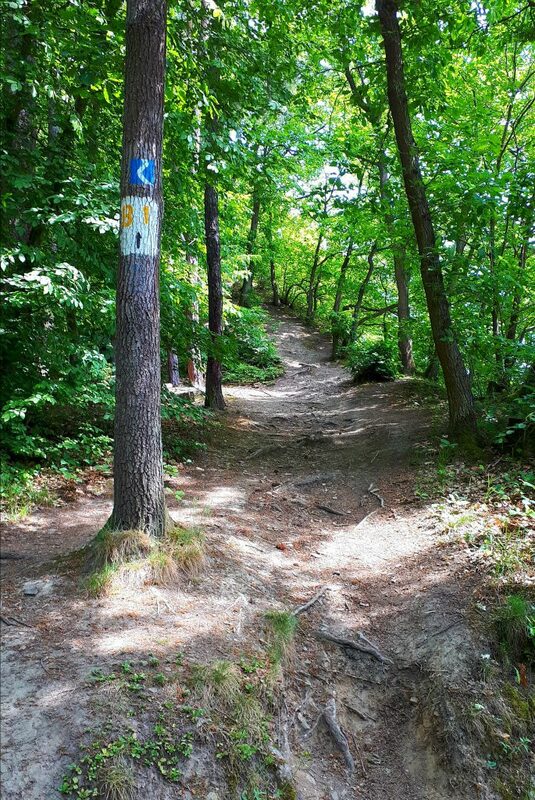 Check the site Top Trails of Germany. 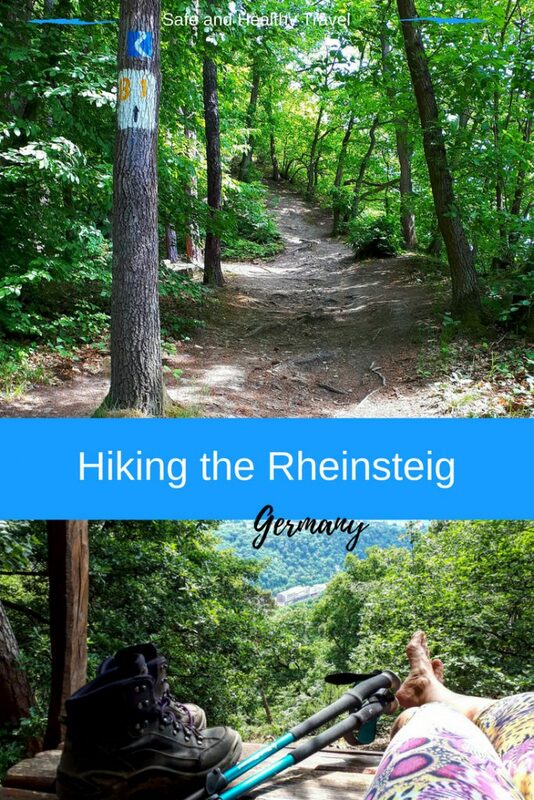 If you liked hiking the Rheinsteig too please share it!! 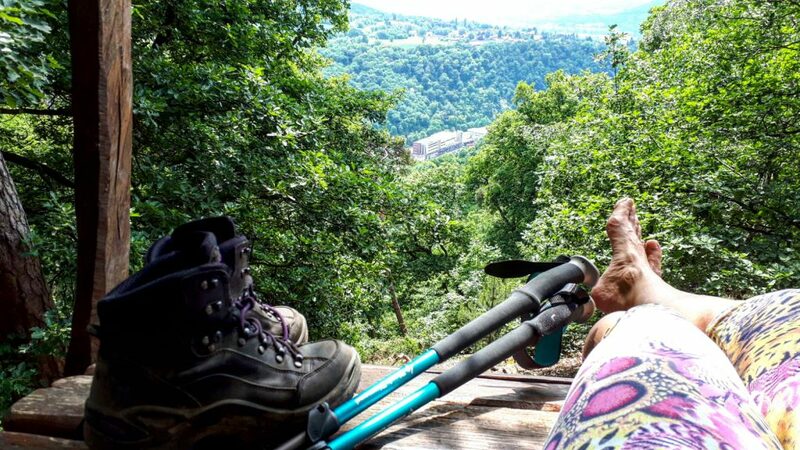 I walked these days with my trekking poles and I wrote a blog (only Dutch for now) about that earlier. About the tatall body workout that it gives you but also how you increase your safety with them!! Or can I inspire you to take some of the next trekkings? But do you know what I really liked earlier this year? I hope you enjoy this wonderful world as much as I do!! Oh wow! 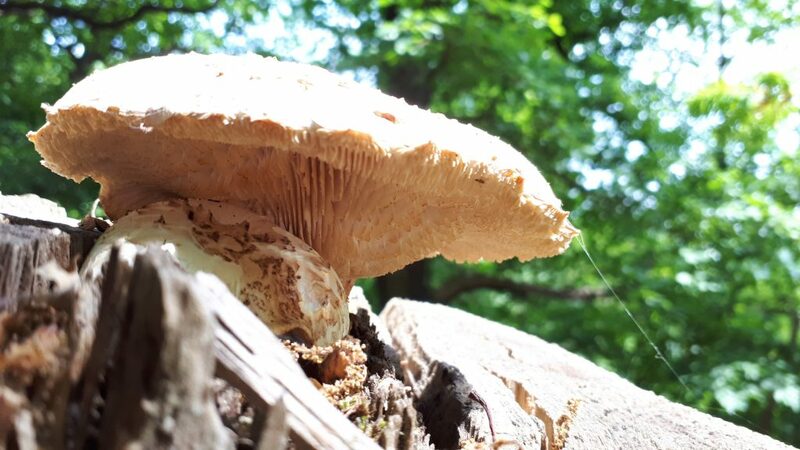 I’ve been to Cologne recently and was discovering nearby cities, but I haven’t time for hiking. So nice! Definitely gonna hike next time I’m there! Great! You should go hike in this area, it was wonderful! !